KONSTANT and NINA share a moment before her performance starts. 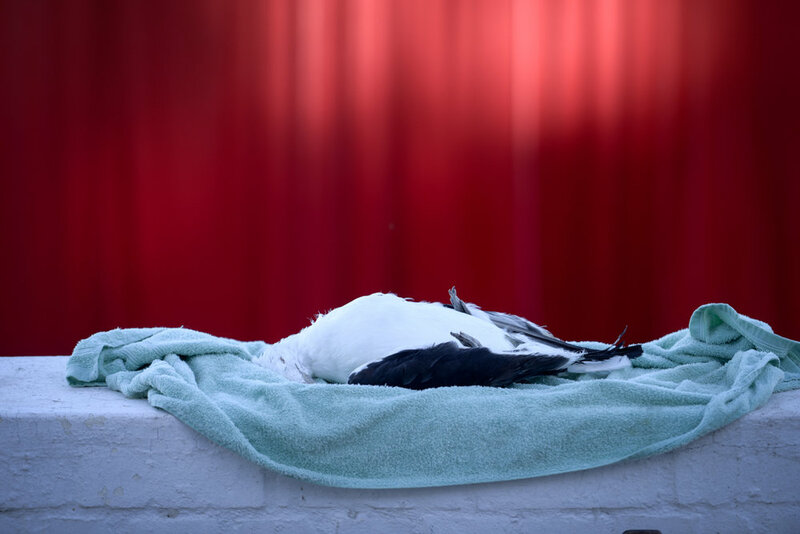 One of the two seagulls used for the film, which had died of natural causes, sourced from SANCCOB (The Southern African Foundation for the Conservation of Coastal Birds). Alyzzander Fourie, who plays Boors, enjoys the view. Director, Christiaan Olwagen, with Rolanda Marais, who plays Nina. The audience prepares to watch Konstant's play. 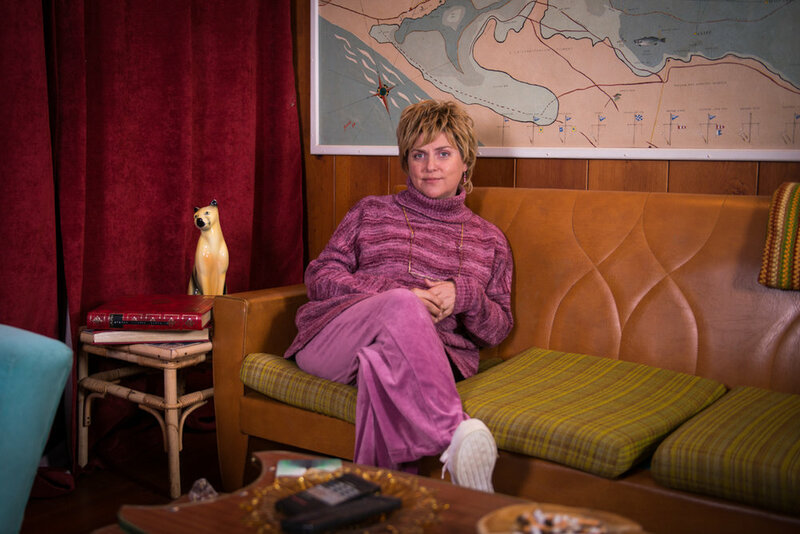 Rolanda Marais as Nina during her performance scene. Rolanda Marais as Nina, stands in front of her audience during her performance scene. 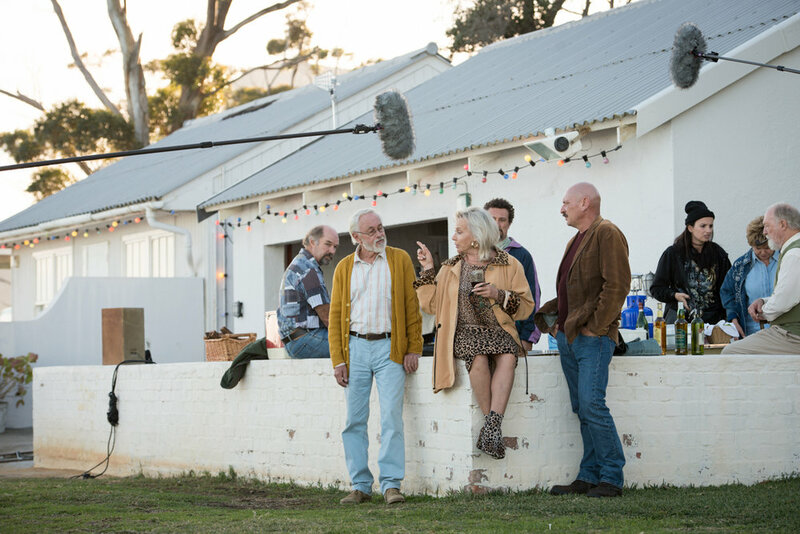 Sandra Prinsloo as Irene offering her opinion of the play to Gerben Kamper as Eugene. A perfect day on location outside of Hermanus in the Western Cape of South Africa. 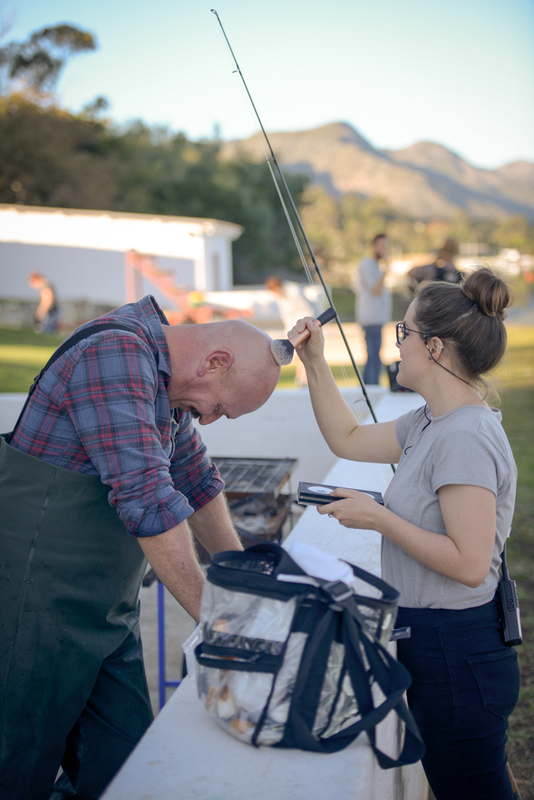 Alyzzander Fourie getting his head powdered between takes. Rolanda Marais getting her make-up touched up. Director of Photography, Chris Vermaak. Behind-the-scenes interview with Cintaine Schutte.